Baby Badger is afr aid of the night. It’s dark and lonely. But Papa Badger promises him there’s nothing to fear. 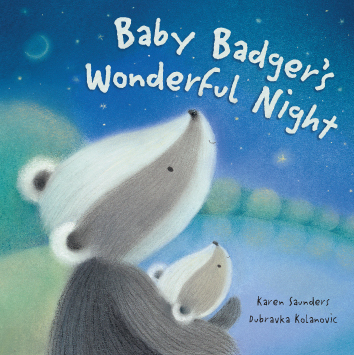 They take a nighttime walk together, and Papa Badger shows Baby the beautiful colours of the night, the shining stars, and just how magical the world is when the sun goes down. Published by Gullane and available now in hardback, paperback and boardbook.